Metallica are streaming official video of a performance the 1984 classic, “Fight Fire With Fire”, from a March 11 show at the Bankers Life Fieldhouse in Indianapolis, IN. The tune was the opening track from the band’s second album, “Ride The Lightning”, which peaked at No. 48 on the Billboard 200 on its way to US sales of more than 6 million copies. 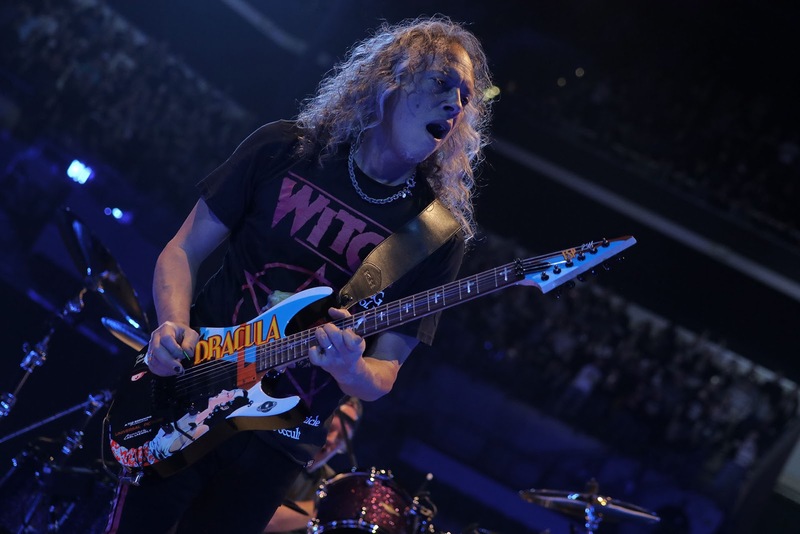 The recent concert marked Metallica’s first show in the Indiana capital in 10 years, and second-last performance before wrapping up the North American arena leg of the WordWired tour. Metallica will resume their live schedule later this spring with a summer series of shows in Europe. “Kicking off May 1 in Lisbon, Portugal,” says the band, “the tour will visit 25 cities across 20 countries including many cities we did not stop in on the most recent excursion: Milan, Zürich, Dublin, Berlin, Moscow, Warsaw, Bucharest, Göteborg and Brussels (first time since 1988!) are all on the itinerary this summer. We also have three firsts (go figure!) with shows in Trondheim Norway, Hämeenlinna Finland, and Tartu, Estonia.